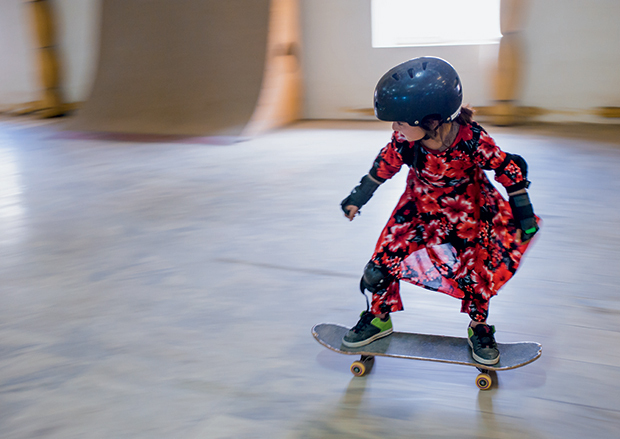 In Afghanistan, girls and women are forbidden to ride bicycles, and restrictive clothing often keeps them from enjoying other sports, but skateboarding has quickly spread throughout the country, becoming the nation’s number one sport for women. 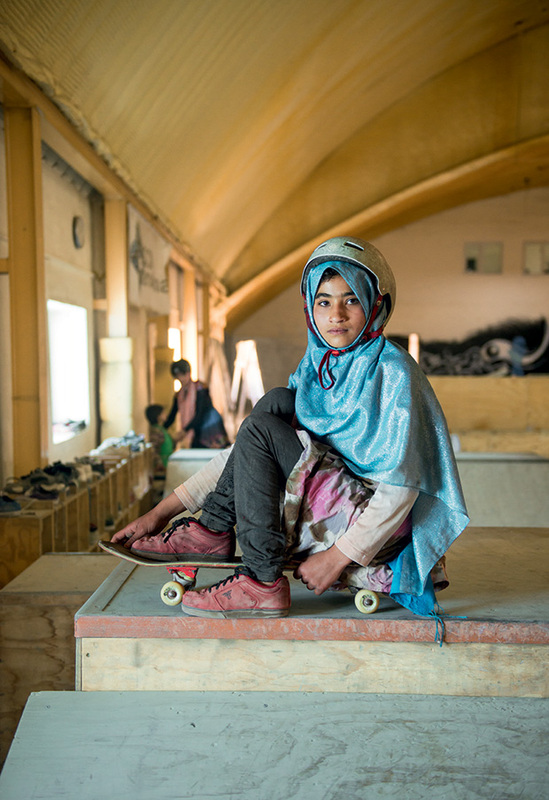 When Skateistan first arrived in Kabul, many of the locals had never heard of the activity, and some parents were hesitant to allow their daughters to join. One parent, Fulford-Dobson tells BBC, surrendered his child to the program only after she spent days begging and wailing to be allowed to join the fun. A good percentage of Skateistan students earn their livings by working on the streets, selling goods, or begging, and playing on the ramps is one of the few opportunities they have to let loose and be kids. 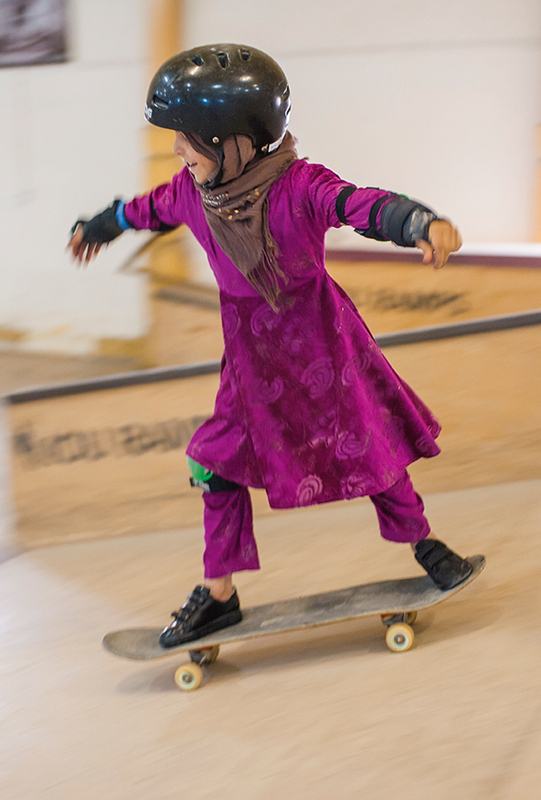 For those at Skateistan, now entirely staffed and run by Afghans, skateboarding is merely the initial draw of what they do, with the education of displaced and low income children being the primary goal. Under the mentorship of older kids in the program, children aged seven to twelve are invited to join a free Back-to-School program, where three years of material are taught at an accelerated pace. After completing their courses, Skateistan pupils are often able to enter or to re-enter the public schooling system. At the conclusion of each day, students are given an hour of playtime on their boards and additionally, they are fed a warm meal. Although Fulford-Dobson initially had trouble gaining access to the Skateistan facilities, she ultimately earned the trust of both Percovich and the girls with her unobtrusive, respectful demeanor. When they were skating in low light, she chose to capture them as they were without interfering or setting up artificial light. What stuck the artist deeply about the girls was their confidence, the joy they took in learning, and the strength of their characters. These kids face dangers on a daily basis— in 2012, four Stakeistan students were killed during a suicide attack— and yet they are learning to find their voices. 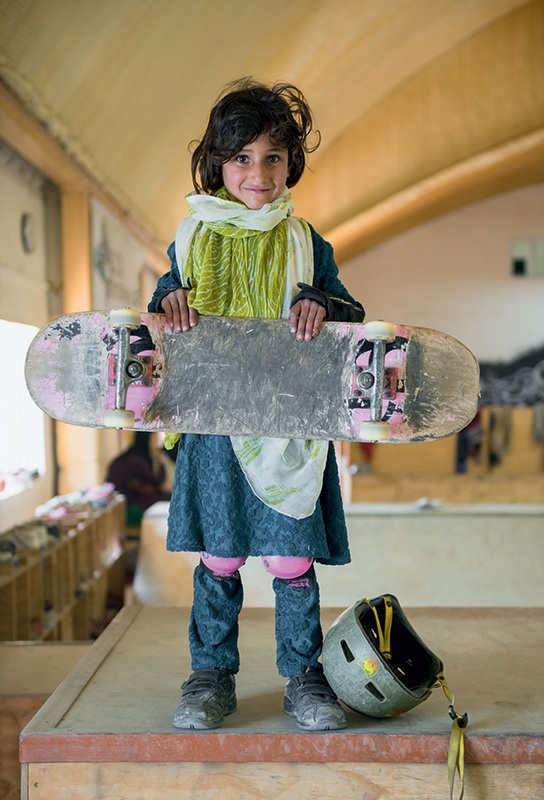 At Skateistan, they are taught dream, to become responsible citizens in their communities, to respect the environment, and perhaps more than anything, to stand up for what they believe in and not to doubt their abilities. 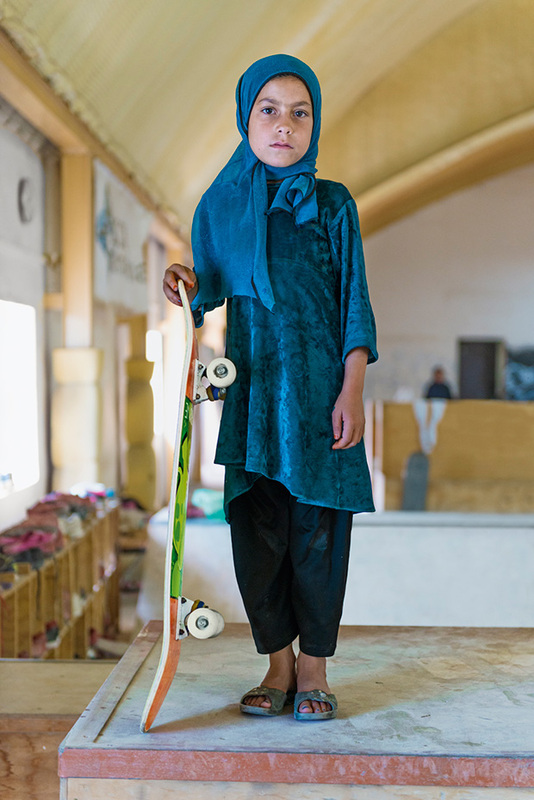 Jessica Fulford-Dobson: Skate Girls of Kabul opens at Saatchi Gallery, London on April 15 and will be on view until April 28, 2015. In addition to the exhibition, Fulford-Dobson is publishing a book with Morland Tate by the same name. Since she began photographing Skateistan, the organization has spread to Cambodia and South Africa.